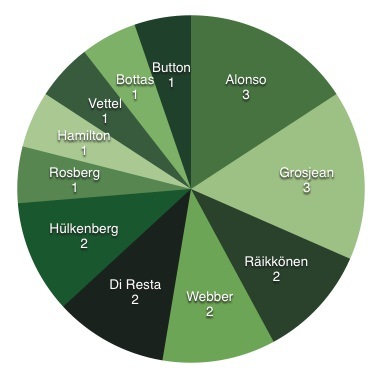 With the 2013 season complete, we asked for your ratings - both the year in Formula One as a whole, and for the best driver of the last twelve months. Considering the highs and lows of the F1 season, the great start, the chaotic middle, and the less-thrilling finale, judging the year as a whole is a challenge. 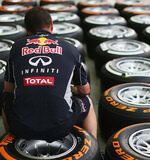 However, the Sidepodcast community stepped up and out of five stars, the 2013 Formula One season scored a resounding 2.61. Just over the halfway point, not bad, not great either. That sounds about right. In terms of the race ratings, our season overview score from above was 2.61. 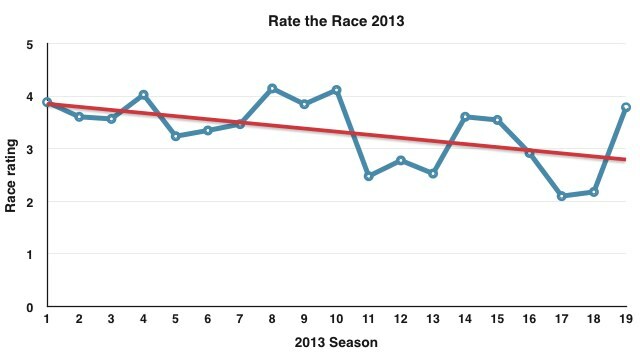 The average rating for the 2013 season from each weekend's score is actually 3.33. Of course, you have to factor into account how good the action was at the start of the year, and how it tailed off considerably as the season went on. I think this chart is my favourite because it really sums up the season. The trendline proves it was a good job the season ended when it did, and the data as a whole shows we're about ready to draw a line under 2013 and focus on resetting for the year to come. In terms of the driver, the results were slightly more split but it makes sense that the F1 World Champion was deemed to have been the best driver over the course of the year. I thought it would be interesting to compare how the year end perception of Formula One compared to the race by race determination of Driver of the Day and GP ratings, and in terms of the names on the above list, it seems quite a similar story. Sebastian Vettel didn't get picked on a regular basis, presumably because as the races were ongoing, we were hoping that someone else would be able to challenge him out on track. With the season complete, it's hard not to step back and admit that he did a pretty good job. However, Romain Grosjean and Fernando Alonso both got several mentions throughout the season, and also finished quite highly on our year end list, which goes to show they each had strong years in their own way. We got hundreds of votes each race weekend, despite the interest in races quite understandably tailing off. Thanks to all that took the time to make a selection, we really appreciate each and every one of you. We'll keep rating the races in 2014 and with a whole new set of regulations, plus brand new driver pairings to watch out for, there should be plenty of interest for us to cast our votes on as the new season begins.